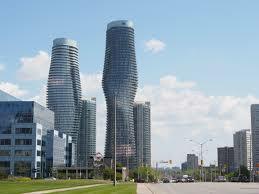 Need help with Drug & Alcohol Addiction Treatment in Mississauga, Ontario? PCHS has a mandate to provide health and social services to diverse communities within Peel Region. PCHS has four core programs: mental health and addictions, geriatric services, settlement services, child, youth and family services. Within these programs PCHS provides addictions, mental health, seniors, settlement, domestic violence and parenting services to the community. PCHS also undertakes community development projects to build neighbourhoods and special projects like building “community hubs”. 241 – 2980 Drew Rd. PAARC offers many services and supports for people living with substance misuse and abuse, substance dependence, and harmful gambling. If you also live with a mental illness, you are welcome at PAARC. For a complete list of our services, click on PROGRAMS. All of our services and programs are confidential. You do not need a health card to access our services. With the exception of the Back on Track Program, all of PAARC’s services are free to all our clients. #302 – 5170 Dixie Rd.